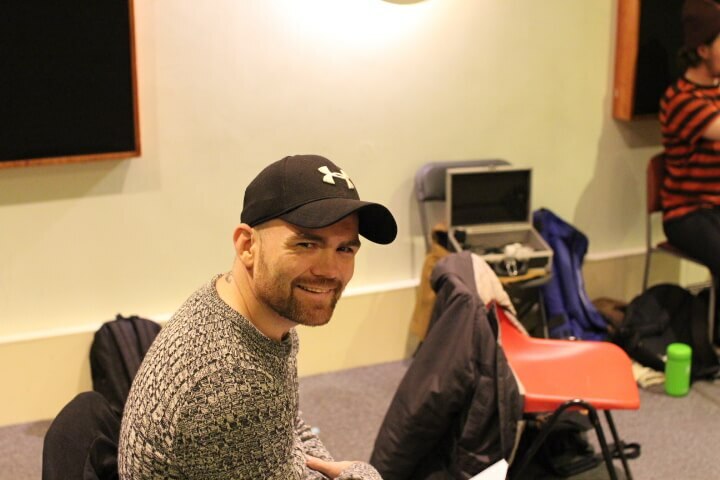 ‘Rendezvous with War Paint’ came out of a song writing workshop at HMP Castle Huntly in January 2017, one of many Vox Sessions on the Distant Voices project. With an idea to create songs that were musically as varied as possible we set about inviting a raft of great Scottish song-writers to join our core song-writing team and generate material that would make up our first full-length, collaborative LP. We’ve been admirers of the songs of Glasgow’s Pronto Mama for a long time and were delighted when Marc Rooney agreed to join us for a session. The song is a co-write between Marc and Frewsie and tells the story of Frewsie’s teenage years in Irvine. The Magnum Leisure Centre was the local hangout spot for Frewsie and a lot of his friends; a place where they spent many hours, at the ice disco, celebrating being young. The building held a lot of happy memories; when he found out it was due to be demolished while he was serving a prison sentence he wanted to write a love letter to its memory. Frewsie and Marc sat and chatted for the best part of two hours, first about life and how he was getting on post-release, and then about the song. We were keen to hear his thoughts on it almost a year after it was written. Thankfully he still really liked it and, better still, had some really interesting ideas about how the song could be further improved. 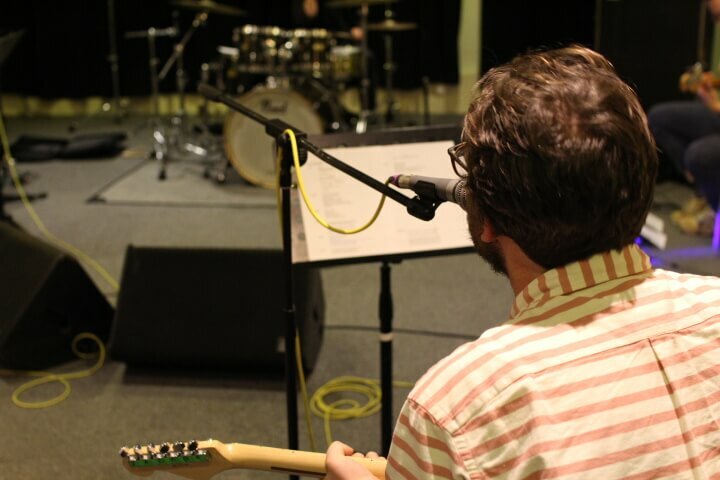 In mid-November we took the finished song to the rest of Pronto Mama in a rehearsal room, with Frewsie there to offer his thoughts on the direction that the song was taking. We’re really excited to hear the final result when we record it in January.